Comedian Phill Jupitus is joining the cast of Urinetown The Musical next month taking over the role of Caldwell B Cladwell from Simon Paisley Day from 1st December to 24th January at the Apollo Theatre. In October 2009, he joined the West End cast of Hairspray, playing the role of Edna Turnblad at the Shaftesbury Theatre. He also joined the 2011 tour of Spamalot, playing the role of King Arthur. Also joining the cast on 1st December are Julie Jupp who is taking over from Jenna Russell as Penelope Pennywise, and Alasdair Buchan is taking over from Marc Elliott as Mr McQueen. 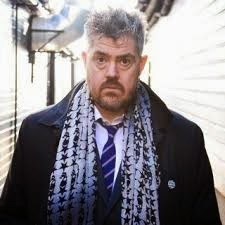 Jupitus told the Evening Standard his break in musical theatre came when top West End casting director David Grindrod watched him on Never Mind the Buzzcocks. 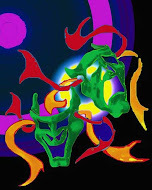 "I've always quite liked musicals as a punter but I don't think I even thought about being one until David Grindrod got me in to read a part for The Woman in White. I said to him 'why did you call me in?' and he said 'you can hold a tune'. I said 'how do you know?' and he said 'I watch Buzzcocks.'"